"...this writer quite simply delivers the total package." Northern Ireland, spring 1981. Hunger strikes. Riots. A homophobic serial killer with a penchant for opera. And a young woman's suicide that may yet turn out to be murder. D.S. Sean Duffy of the Royal Ulster Constabulary must pick his way through a morass of conflicting loyalties: one of the homosexual victims had IRA connections but was last seen doing business with the loyalist Ulster Defence Force. Neither side trusts “the peelers” and Duffy, with both hands effectively tied behind his back, is on the trail of a killer without a conscience. Calling this book a police procedural is like saying Titanic is a movie about a boat, because there is more, much more to this talented writer's most recent offering. The sense of time and place, Northern Ireland in 1981 is beautifully crafted, drawing you back to a time when to live in certain parts of the province would have provided an almost constant source of fear. And the tension this provides is stitched into the narrative with care, never letting up for a moment. The story unfolds through the first person narrative of Detective Sergeant Duffy, who is an intriguing literary creation. He has a psychology degree, speaks Latin and Greek and has musical tastes that range from Puccini to John Lennon. He's also a catholic living in a mainly protestant street: effectively a man in the wrong place, but nevertheless determined to carry through his duties. 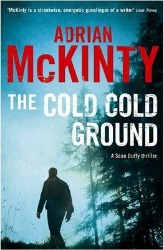 As a reader of some of his earlier work, there are certain elements I've come to expect from McKinty: dialogue that sings in the ear, action-packed set-pieces and prose that shifts effortlessly from the prosaic to the poetic when the mood calls for it. 'The Cold, Cold Ground' also offers a modern-historical social commentary and in particular an insight into a time that British politicians might prefer we forget, when their largely ham-fisted efforts only resulted in more young men and women becoming martyrs to the cause. It's a crying shame that Adrian McKinty is not more widely read, for this writer quite simply delivers the total package. If he's new to you, wolf down this one and then get on to his backlist lickity-split! "Hurley has an instinctive understanding of how people work and this is what makes this series so great." Paul Winter, erstwhile maverick detective and now “adviser” to Bazza Mackenzie, Pompey's top criminal, reviews his situation and decides that he has to cut himself loose from the criminal fraternity. He uses his contacts with former colleagues, particularly former protégé, DS Suttle, to plan the dangerous strategy which should bring down Bazza and allow himself to escape his past mistakes. Bazza has created a superficial respectability that sees him standing as an independent MP for Portsmouth North. He believes passionately that he can do it and takes along a young professional team that begins to have an impact on the result. But his past misdeeds and his ever-present violent nature threaten his campaign. Winter hopes that this will bring about Bazza's downfall. As always Winter is a canny operator, who survives all the vicious attacks thrown at him, but at the end it seems impossible that he will survive. This is the last of the Faraday and Winter novels depicting the realistic life of police in a large city - in this case, Portsmouth. DI Faraday is no longer involved. Above all the characters lead this series. 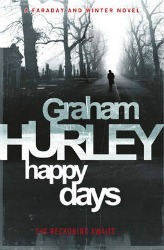 Having created characters with particular attitudes and points of view Graham Hurley provides a scenario and sees what these characters would logically do in that situation. This results in entirely believable people doing somewhat unexpected things. Without giving away the story, Faraday's decision at the end of the last book to opt out of policing was absolutely in tune with the way life was going for him. Winter's original choice to move in with the dark side made absolute sense at the time, as does his realisation that he cannot go along with it any more. Bazza himself has achieved a great deal, but the drive, determination and ruthlessness that got him where he is contain the seeds of his possible downfall. Within the police service the accuracy and realism of the previous books continue and the stresses and strains of ambition, legislation and sheer hard work are depicted beautifully. Hurley has an instinctive understanding of how people work and this is what makes this series so great. As it is the last of the series there is a sense of winding up and overall the book is a little downbeat. The final few pages are however extremely exciting and nothing is decided till the very end. "...an excellent read that could not be put down with quite literally an explosive plot!" People are dead. Many more lives hang in the balance as a group of highly trained gunmen storm the historic Stanhope Hotel on Park Lane. The gunmen have given the government just five hours to meet their demands before they blow up the building. Darkness falls. The gunmen become increasingly violent. One question is in everybody's minds. Who Will Survive? 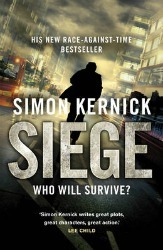 Kernick's 'Seige' is as fast paced as his previous books and simply has to be read in one go. 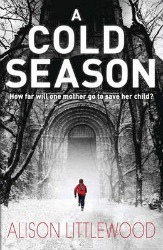 With only one previous character, Tina Boyd, making a small appearance, 'Seige' deviates from Kernick's past detective based thrillers and is set around terrorism, Whilst this is not my favourite of genres, Kernick's excellent ability to keep the reader hooked from start to finish means the subject matter is almost a moot point. There is something for everyone in this book; detectives, terrorism, espionage, ex-military, revenge, heroism and not knowing who will survive until the last page. I did feel the motive behind the cause was not fully explored, nor was the involvement of some of the characters which left the ending slightly open in my opinion. Otherwise, this was, as expected from Kernick, an excellent read that could not be put down with quite literally an explosive plot! "The pace rattles along with the intensity of a disgruntled rattlesnake..."
It started so innocently. Two young women were taking a road trip to California but hadn't been in contact for three days. Jay and Nicole's last contact had been a call to Jay's father from New Mexico. The police weren't worried: three days is not that long, but Jamieson Walker is taking no chances so he hires Joe Hunter to find his precious daughter. The Arizona desert is badlands country and the girls have fallen foul of a bunch of sadists who are as harsh as their homelands. But Hunter is on their trail and he'll stop at nothing to find and free them both. It will come as no surprise to regular readers of Crimesquad.com to hear that I am a big fan of Matt Hilton and by extension Joe Hunter. However after reading 'No Going Back' I was left exhausted by the effort. After all, Hilton had once again stolen valuable hours of much needed beauty sleep with his highly addictive writing. After the high stakes adventures of 'Blood & Ashes' and 'Dead Men's Harvest', Hilton has scaled back the scope and focussed 'No Going Back' on a small town scenario much like most of the early Reacher books (£1 in the jar for a Reacher comparison). This works exceptionally well as it lets the author play more with Hunter's character in the few lulls between action scenes. Previously he would use this time for plot development instead now it is for further characterisation. There's little more for me to say about Hunter's character but the secondary leads of Jay and Nicole were drawn with enough aplomb for me to say that Hilton has mastered the very difficult art (for a male author) of writing a strong believable female character. Twice! The villains of the piece were full of malevolent intent and were utterly believable. The pace rattles along with the intensity of a disgruntled rattlesnake and while the plot is not at all complex it suits the tale as there is more time for action. Even the action is wound back and instead of massive explosions and wild fire fights there are knife fights and pistols are now the gun of choice. 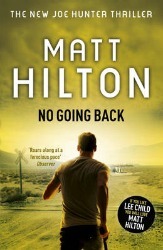 With 'No Going Back', Matt Hilton proves that size doesn't matter as he serves up a fantastic tale of 'derring do' which actually benefits from the constraints which the author has imposed upon himself. The prose is Lycra tight and there is more atmosphere than previous novels. The Arizona desert is so well drawn it almost becomes a character itself. "...an attention to detail and a dark twist." 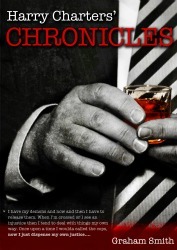 Join gumshoe detective Harry Charters as he tries to escape his demons with a shot of bourbon and a mystery chaser. His investigations include a rigged poker game, a missing teenager and tales of domestic strife. He also gets himself into the middle of gangland power struggles and comes head to head with a crime family who run an entire town. Harry Charters is not the kinda guy who calls the cops. Instead he dispenses his own brutal justice as he rights wrongs and settles balances. Will he come out on top or will the bottle get the better of him? Read Harry Charters Chronicles to find out. Harry Charters is an old school detective, who whilst taking cases, also has his own brand of justice which he dispenses without thought. The stories are more noir based, short, gritty and violent and have something that keeps you hooked all the way through. Although part of me wants these stories to be padded out more and dig deeper, in actuality the fact that they are short and to the point of abrupt is part of the charm. The short, sharp dialogue, quick plot and clues to the answer all still have an attention to detail and a dark twist. Short stories are often too long, lack depth or often feel like a longer take that's been over edited; these are to me what short stories should be. I look forward to more from Graham Smith. "This book was up to Sue Grafton’s exacting standards..."
Set as usual in the fictional town of Santa Teresa, the book opens with the killing of a young college student who borrows money from Lorenzo Dante, head of a local mafia family. When he is unable to repay the loan, Lorenzo's younger brother deliberately misunderstands the instruction to 'take care of it' and the boy is killed. Two years later, Kinsey Millhone helps apprehend a woman shoplifter who then kills herself the following day. Kinsey is hired by the woman's fiancée to look into the suicide and she soon discovers a racket involving a large shoplifting ring who prey on the town's shops. Meanwhile, Lorenzo Dante begins to look at a way of getting out of the family business and away from his violent younger brother. When he encounters the glamorous Nora who is saddled with an unfaithful husband it seems their mutual desires might coincide. 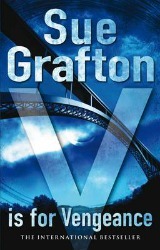 This book was up to Sue Grafton's exacting standards and a fascinating insight into the world of shoplifting gangs. I had no idea that such rings existed and the book is a mine of interesting information about this, such as the fact that when in a small shop the salesperson greets you it is often a way of deterring thieves who shy away from any personal contact. The cutting off of tags around a kitchen table and the moving around of the stolen items was really fascinating and it seems that far more goods are stolen than shoplifters prosecuted. Kinsey is a wonderful character and sets about the investigation with her usual verve. My only complaint was that Henry, her elderly neighbour doesn't feature much in this book which is a shame as he is such a strong character. I also liked the Lorenzo Dante/Nora relationship, especially Nora a glamorous but fractured Hollywood wife. I felt Lorenzo Dante was a bit too nice as a Mafia boss although he was an interesting character. It was an excellent read and now I am feeling pangs of anxiety as we near the end of the alphabet and this excellent series. "Stein’s prose hit the target every time..."
Garron is a survivor – even if by the skin of his teeth. Things seem to have settled down though – safe jobs (if a bit erratic), a girl he adores and life appears to be good. Maybe too good? Old ghosts have a habit of haunting Garron, particularly the nasty ones. This ghost is called Julot and he has a job for Garron and he won't take no for an answer. Unfortunately, it doesn't involve running someone somewhere or keeping an eye on a youngster. No. He has to shadow a hired assassin who is going to take out the head of London's Russian Mafia. As the deal goes from bad to worse Garron must use all his skills of survival to get out of a number of sticky situations – made worse by keeping an eye on a sadistic killer like Michel whilst trying to save his own skin. But will he get to see another dawn? For Garron some days you just wish you hadn't got out of bed. 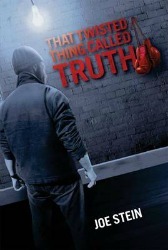 To be honest – and I try to be as honest as possible when writing a review and advising to our readers why a book is worth buying – that I wasn't sure what to expect from 'That Twisted Thing Called Truth'. To be honest (again) it isn't my usual fare, but sometimes that is a good thing. As in this instance, it was a very good thing as I really connected with this book and loved the journey it took me on. This is gritty 'London Noir' without trying to be too Noir. (Am I making sense?). For instance, Stein sets a scene perfectly without throwing a hundred descriptions or similes at you. Stein simply placed you 'there' and every scenario rang true without elaboration. 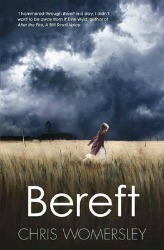 The book has a heart-breaking resonance to it; a bitter sweet flavour coats the words without making it maudlin. Garron is a great character – optimistic and pessimistic in turns, definitely a man of light and shade. And the people who surround him are three-dimensional - not just walk on parts for Garron's mates, Tony and Mick. Garron's honour at taking revenge on a colleague's death could be seen as admirable, but transpires to be reckless and foolhardy. Stein is a writer shouting to be discovered. Stein's prose hit the target every time and was extremely emotional at times. I can now gladly say I have been converted and will now go back and read the first two Garron novels. Superb. "A fast paced and action packed thriller..."
Smart, tough Los Angeles FBI agents Jack Harper and Oscar Hidalgo breathe sighs of relief after violent diamond smuggler Karl Steinbach is finally arrested in a complex sting. Vowing vengeance on the agents who brought him down, Steinbach is imprisoned - only to be offered a release with total immunity in a dodgy deal with Homeland Security. As Jack and Oscar's team of agents start to die, it becomes clear that Steinbach's is no idle threat. But when the pair investigates their slain comrade's lives, they discover that what looked like retribution is actually tied to a web of deceit that stretches to the highest echelons of the FBI. Navigating car chases, shootouts, and even venomous reptiles, Jack and Oscar furiously pursue clues scattered throughout the underbelly of Los Angeles, in a desperate attempt to find the killer - before he finds them. 'Total Immunity' is written by former writer and producer of Hill Street Blues, Miami Vice and New York Undercover, and it shows. Not that it's a bad thing as you almost feel you're reading the film of the week and it certainly has tones of both Hill Street Blues and Miami Vice and I almost imagined I recognised some characters. A fast paced and action packed thriller that is as gritty as the shows it defines, it's a rather roller coaster ride through the FBI, organised crime and murder as Robert Ward twists the plot along the dark and meandering streets of LA. 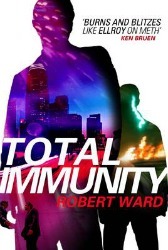 I enjoyed 'Total Immunity', albeit more because I liked remembering the TV series Robert Ward worked on, which definitely affected the plot, characters and style of writing. It was also good to have a LA setting where the glamour and seedy mixed equally, showing the jaded side to the bright lights. I did see the end coming (way before the heroes) but did want to keep reading anyway and found myself imagining the film. "...the encroaching isolation felt by Cass only adds to the claustrophobic feel of the novel." After a personal tragedy, Cass moves to a new life with her young son, Ben. Darnshaw is a picturesque village set in a remote valley, the mountains shelter the tiny village and yet appear to menacingly cut it off from the rest of civilisation. This is all too apparent when the snow begins to fall and Darnshaw is cut off from the outside world. Soon cracks begin to appear as the village isn't rushing to embrace the 'newbie' in town. The locals aren't as welcoming as Cass had expected, why is the newly converted mill home to Cass and Ben and them alone and why does it feel anything but a safe haven? And what power does Mr. Remick have over the residents of Darnshaw and how does it hark back to Cass' own past and her first acquaintance with Darnshaw as a child? With the snow comes seclusion and with that seclusion comes a desperation to escape at all cost. We have all got frustrated at movies when a character enters a dark house/room without any light to 'investigate' the bumps in the night when the majority of us would run a mile in the opposite direction. But with Cass, Littlewood gives her no choice. Stuck in the middle of nowhere in deep snow, Cass has to weather it out despite trying twice to escape from something she fears despite not really comprehending what the 'fear' is. Even with the lights on, Littlewood makes the mill haunting and forbidding. "...more hardboiled than any of your Granny’s favourite sweets..."
DC Ash Henderson has a secret past. Five years ago his daughter disappeared and everyone thought she had run away. He knew different though. He knew she had been taken by the serial killer known as “The Birthday Boy”. This killer has spent twelve years abducting girl's days before their thirteenth birthday and then sending birthday cards to the parents which show pictures of their child being tortured. Ash keeps his secret so he can keep his job on the team investigating The Birthday Boy murders. He's lost almost everything in his determination to make sure his daughter's killer gets what she deserves. This is one seriously heavy book to read. The topic is terrifying to any parent and throughout, the book is blacker than the Earl of Hell's waistcoat and grittier than a sand sandwich. Just remember that MacBride is one of the leading lights of the Tartan Noir scene and Noir is often described as being about losers losing. Enough of the health and safety warnings though. 'Birthdays for the Dead' is a fantastic read written by a master craftsman. Henderson is an old school copper whose only real aim in life is to track down his daughter's killer and then become judge, jury and executioner. His world is one we neither know nor wish to inhabit. 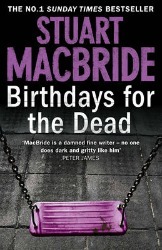 Gang bosses, loan sharks, lap-dancers and twisted killers are his world and MacBride shows this world in all its seedy sentience. The plot is structurally sound but is of little real significance as the real stars of the show are the characters and the writing. Some purists may say that there are inconsistencies between Henderson's reality and modern policing methods. Without these touches of artistic license the story would be dulled, impaired and worst of all slowed down. Henderson's vigilante tendencies and the hard drinking psychologists were so exaggerated as to almost be parodies of caricatures. MacBride also aims a satirical eye at others as he draws the reader into the twisted world of Ash Henderson. Mrs Kerrigan is a character I enjoyed reading about and the slimy Sensational Steve was utterly believable. As ever with MacBride the prose is beautifully sparse and as an aspiring author myself I have to hold my hands up in awe at the way MacBride can say so much with so few words. If you want a novel that's more hardboiled than any of your Granny's favourite sweets then 'Birthdays for the Dead' is the one for you. "This has got to be the coolest, savviest book I’ve read in a long time..."
Ironically calling herself the world's greatest PI, Claire DeWitt is a follower of Jacque Silette's “Détection”, the mystery-solving manual she carries with her at all times. Using dreams, whatever drugs are available and the I Ching as her primary investigative tools, DeWitt is on the case. Almost recovered from a nervous breakdown caused by extreme fasting and drug use, DeWitt takes on a two-year-old missing person's case in New Orleans. She hasn't returned since her mentor, the previous number one detective in the world, was shot to death in a restaurant in the French Quarter. Now DeWitt has returned to solve the disappearance of a New Orleans DA named Vic Willing who seems to have made it through Hurricane Katrina, only to have disappeared. This has got to be the coolest, savviest book I've read in a long time, and DeWitt has to be one of the most fascinating narrators to bless this reviewer's eyes in recent times. Being gifted, drug-addled and happy to delve into the mystical from time to time, makes her a captivating read. It's a given that a P.I. is going to have issues, but DeWitt has them to spare. Her crutch is her manual and her drug of choice happens to be whatever the person she is speaking to is working their way through. She even has a toke on embalming fluid at one point. While displaying her undoubted talents as an investigator, she is also self-destructive. You enjoy her intelligence but you are desperate to give her a good shake, aye, ok a good slap, at the same time. This is not only a book that is a mystery; it's also a book about mysteries. The chapters are short, adding to the feel and pace and they are littered with fascinating references to what is a fictional manual that offers advice in elliptical passages. You might struggle to make sense of them, while at the same time understanding is granted with a slow lift of the curtain. The novel is full of vivid characters; even those with small “parts”, such as a homeless woman in a park are unforgettable. Gran has a sweet talent for description both of people and places; when writing about a city that has suffered as much as New Orleans has over the last few years, the writer has to be careful not to be exploitative, but in Sara Gran's empathic hands (apparently, she was living in the city when the hurricane struck) this never becomes an issue. The city and its colourful denizens are suffering from Post Traumatic Stress Disorder and this is recorded honestly, without sentimentality and with respect. This book is intelligent, hip, funny and a hugely rewarding read. I thoroughly enjoyed it. "...a book that made me reflect on the characters long after the final page." Set in Australia 1919, Quinn Walker has returned from fighting in the Great War and is making his way back to the town where he grew up in New South Wales. Damaged physically and mentally by his experiences he returns to his old home where his mother is suffering from the influenza epidemic which is sweeping the country. He cannot return openly or in triumph because when he left the town it was under a cloud of suspicion that he was responsible for the brutal murder of his sister. His family did not hear from him again although they had official confirmation of his death in the war. Although he does reveal himself to his mother, hardly anyone else knows he has returned and he hides out with a young orphan girl who is also living rough. Her experiences of the present link in with his of the past and their relationship grows as Quinn takes over the role of her absent brother. He is driven to confront the ghosts of his past, and the girl has some current fears that shape her behaviour. This is an original book that explores the mind of one returning from the horrors of war and the intense relationships of a small isolated town. It is not a comforting book as there are so many things that happen that are just 'not fair', but the resilience of human nature in the character of Sadie and of Quinn himself leaves room for optimism. 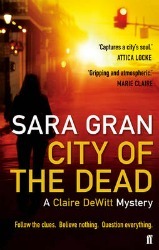 To begin with, what happened to Sarah Quinn is not clear, but as the book unfolds, the story is slowly revealed. Not until the final pages do we know exactly what happened and the excitement of this development leads to a gripping book. The isolation of the small town means law and order is unpredictable; Quinn's recovery from the trauma of his war experiences and his vivid memories of the day his sister died mean that we are not absolutely sure what is true and what is imagination. Sadie is a strange character who believes in the power of the supernatural and we are left in doubt as to how much she is right. All these together provide a shifting tapestry as a background to the story and contribute to the compulsive nature of the book. My only slight gripe is that the character of Sadie was not absolutely convincing for me. She was sometimes a child and sometimes very adult. This might be in fact partly as a result of her upbringing. However, I enjoyed this book as a refreshing change from the normal run of crime books and a book that made me reflect on the characters long after the final page.